I posted on Althouse how much Palin puts the jujitsu on many of Obama's memes. Age, experience, took on Big Oil, no really airs about here, the gender that couldn't even get vetted by Obama...Hell, can McCain be her running mate? Have a nice holiday, my friend! Any Republican hoping to win the next election should hope it's not Romney, though. Romney's essential unelectability won't go away, but being VP will make his nomination unstoppable. I agree that Romney gives off a very slick vibe (similar to Joe Biden, curiously), but he's extremely competent. Where are you going for your long vac, Ron? Any plans? In a few weeks, I may be off to NYC for a restaurant opening of a friend plus some toney party out in Westchester... and yourself? PS thanks for all the delight you give in case I hadn't said that in awhile! McCain is seemingly gathering most of his primary opponents in Dayton for the announcement. I just heard that Pawlenty said he won't be in Dayton, Ohio, but will be making his regular radio address today. That might mean that Pawlenty is out, but even that's not definite. 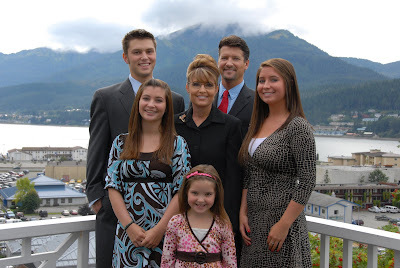 I called for Palin's name to be chosen back in February, and again last month - in my repost - and I'm hoping she is McCain's choice. She is a true Republican maverick. So who better to run with the original Republican maverick? Romney is a very accomplished man and would not be hard to support. But he is not popular with the Republican base. But ... we'll see. Wow. Called that one, didn't 'cha. Chuck B -- YAY, thanks so much! Hugs! Fox said that? Cool Beans! I'm gonna make a decent banner this time! Yow! The pipe dream has come true! Incredible! Good timing on that post, Vic! I like the "naughty librarian vibe" line. I recall things similar to that being said about Laura Bush not too long ago. And so it was her after all. I wonder what she was thinking on that flight, as her life moved from the vital but small confines of Alaskan politics to the very largest stage of them all? 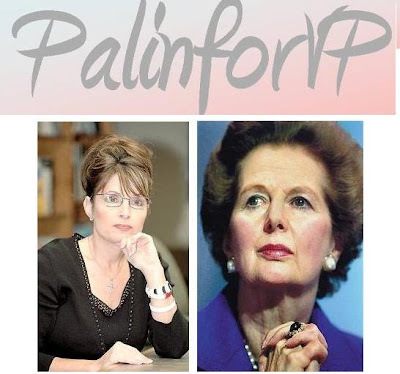 Love the Mother Palin image. Very nice! Congrats on the pick, Victoria! I never thought he'd do it and am very impressed that he did. 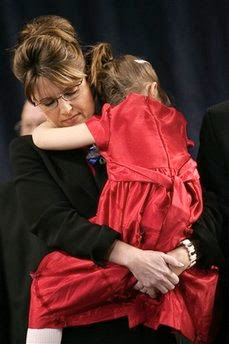 Win or lose, I hope Palin turns out to have been a giant plus for McCain's campaign.